A pollinator garden is installed in Chadwick Arboretum & Learning Gardens Arboretum North in the Prairie Plant Research and Monarch Butterfly Waystation. Pollinator gardens are paradises for our native bees and attract butterflies too. Pollinators move pollen between flowers making it possible for them to produce seeds and fruits. Flowers and grasses provide nectar and pollen resources that pollinators feed on. 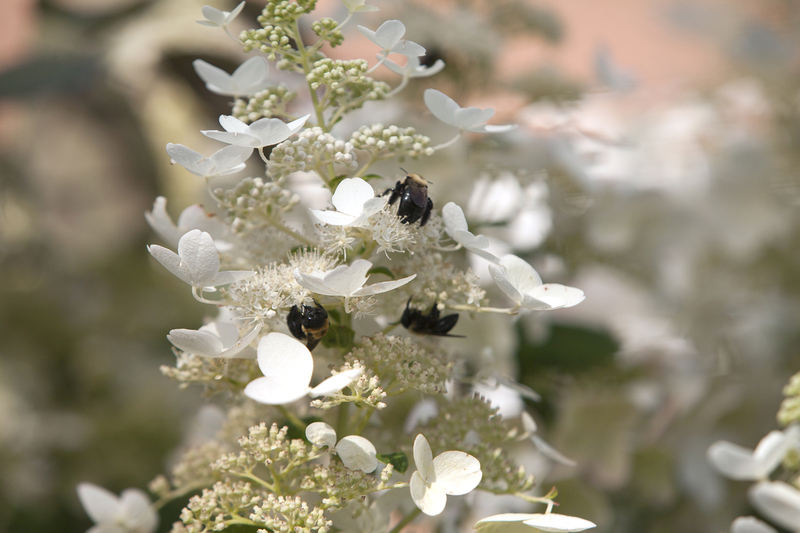 The right flowers with overlapping bloom times will support pollinators from spring through fall. Flowers to attract pollinators include Sullivant’s Milkweed, Butterflyweed, New England Aster, Wild Senna, Coreopsis, Purple Coneflower, Sweet Joe Pye Weed, Prairie and Meadow Blazingstar, Bergamont, Ohio Goldenrod and Ohio Spiderwort. Grasses include Prarie Dropseed and Little Blue Stem.